Charlie Tannous is the Owner and Director of Heavy Duty Plumbing in Sydney. 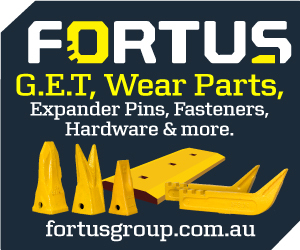 As the name suggests, the business takes care of large-scale commercial and industrial plumbing projects, and as such they need robust, reliable and economical earthmoving equipment to handle all types of jobs. 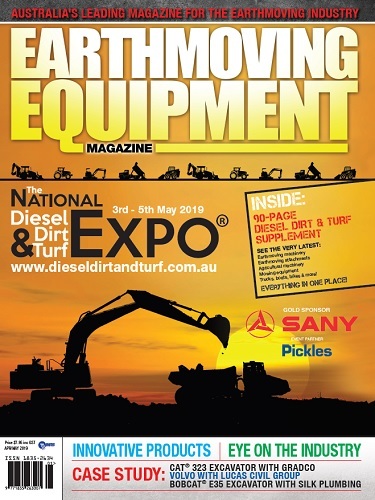 Their go-to choice for such machines is through STM (Sydney Truck & Machinery), with the Terex 9T site dumper being top of the list. These days Heavy Duty Plumbing focuses mainly on providing “hydraulic and civil services to Tier 1 and Tier 2 construction firms”. They’ve worked on major shopping centres, hotels, factories, office buildings, apartment blocks, hospitals, schools and universities ranging in construction value from one million dollars all the way to 30 million dollar projects. 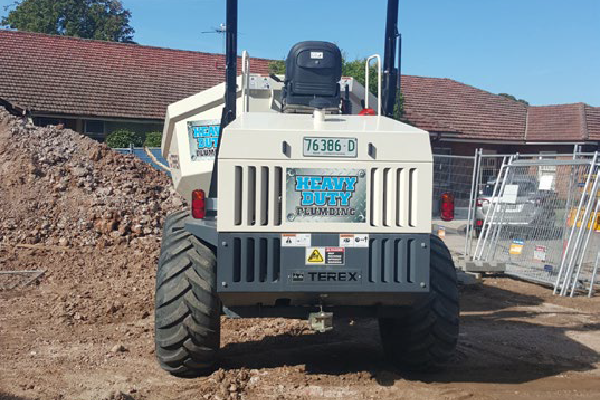 Not afraid to get dirty, the team at Heavy Duty Plumbing work in and around Sydney, Wollongong and the Central Coast regions of New South Wales. Their services include civil stormwater drainage and pit installations, potable water mains, complete hydraulic design and installation, rainwater and recycled water systems, sewer and stormwater pump out stations, natural and LPG gas services and more. With little need for an introduction and over 60 years design and manufacturing expertise behind them, Terex’s versatile machines are built to handle the toughest conditions, all while maintaining supreme levels of operator comfort and safety. Their site dumpers deliver outstanding levels of power, torque and economy, offering increased performance for greater productivity. 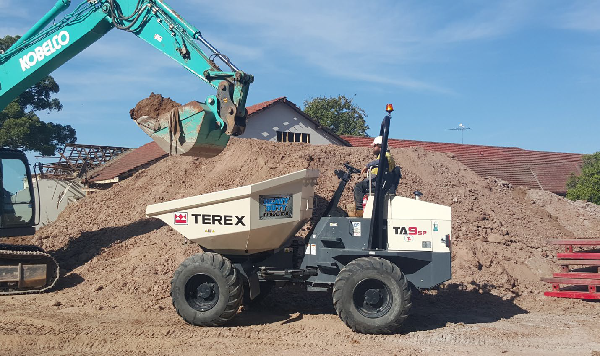 In their smaller models that carry around 2 to 5 tonne, the Terex site dumpers are renowned for their manoeuvrability in tight spaces. But even in their larger models, such as the 9 tonne that has a 9000kg capacity, the machine runs rings around its competition – quite literally. This is because the short wheelbase allows for a superior turning circle. The machines’ high ground clearance and low centre of gravity allows for superb stability and unparalleled accessibility. Extremely easy to operate and maintain, the 9 tonne in particular can pack, transport and dump enormous payloads swiftly, with precision and for years on end. The skip base plate is made of 8mm thick steel and the reinforced walls add extra strength and longevity. With a gross engine power of 74.5kW (99hp), this beast can hoof up to 28km/h. Despite this, it’s not too thirsty on fuel, a bonus that Charlie from Heavy Duty Plumbing looks on favourably. 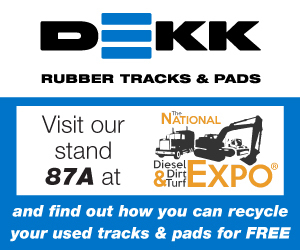 “Terex is a durable brand that we trust will outlast other brand machines and is especially efficient on diesel consumption,” he acknowledged. 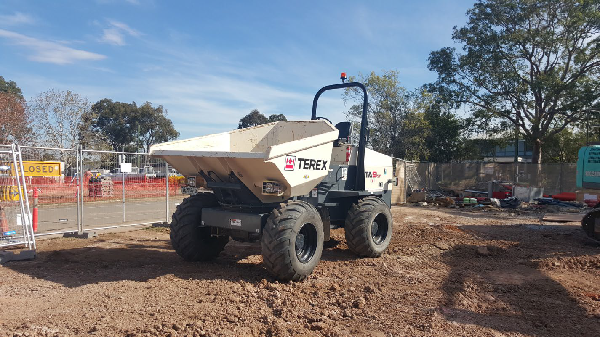 Terex site dumpers are designed with one thing in mind – to move as much bulk material as speedily, safely and economically as possible – and that’s what real businesses like Heavy Duty Plumbing rely on. STM are proud to distribute Terex site dumpers and are always on hand to help you with the best machine for the job.